A documentary/drama that follows the photographer Simon Marsden through Transylvania to the castle of Vlad Dracul the 15th century prince of darkness, on whose bloody legend Bram Stoker based 'Dracula'. Then on to Knebworth House, the 19th century home of the famous occultist, Sir Edward Bulwer Lytton. 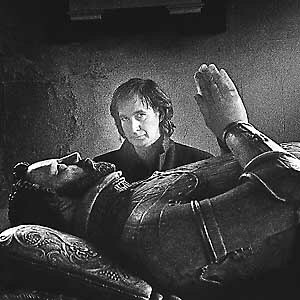 The programme examines the influence of the American author Edgar Allan Poe on the British photographer Simon Marsden.